CAMP PENDLETON, California (Reuters) - When Matt Limon enlisted in the U.S. Marines, he and wife Sharon were prepared to make sacrifices for their country: faraway deployments, long absences and frequent moves for a family with two young children. Those hardships didn’t drive them from the military. The mice in their duplex did. Not just one or two: Dozens invaded their home on the Marine base here, leaving trails of feces and urine across the carpeting and chewing through containers in the pantry. Sharon reported the infestation in May 2017 to Lincoln Military Housing, a private company that controls most of the 7,900 housing units on base at Camp Pendleton. Lincoln sent a pest control worker to lay traps. The problem worsened. In August, Lincoln moved the family into temporary housing while more traps were laid. The mice retreated. Then water suddenly rained from a smoke detector. And the mice returned. The Limons moved off base last November, taking out a $4,000 loan to do so. Then Lincoln hit them with a $1,084 bill to replace the rodent-contaminated carpet. Lincoln blamed the infestation on the family’s housekeeping, she said. It pointed to dishes in the sink, and photographed a carpet soiled by the family’s new puppy. Sharon had talked to the previous tenants, however, and they too had reported a mouse invasion. They showed the Limons a rodent hole still in the home. And they provided texts from neighbors discussing their own infestations. Philip Rizzo, Lincoln’s vice president of operations, told Reuters the Texas-based company worked hard to combat the vermin, and billed the family because the carpet had other stains. Even so, he said, Lincoln offered in June to drop the charge – if the couple signed a non-disclosure agreement. “Mrs. Limon was still going on Facebook” to complain, he said. “And we said, ‘That has to stop.’ ” The couple refused to sign. Disheartened, Corporal Limon, who had served in the Middle East, left the Marines when his tour of duty ended this August. The Limons still owe Lincoln. The Limons had been defeated by two forces that can trap military families in substandard homes across the United States: powerful private landlords and inadequate tenant rights. Under California law and in other states, tenants in unsafe or decrepit housing can get out of their leases. They can make repairs and deduct the cost from rent. They can call local government agencies to enforce health codes. But on federal military bases, different rules apply. Tenant rights are set by the military and private landlords under contracts that give companies control of housing for 50 years but lack basic protections civilians take for granted. As a result, military families have little recourse in resolving health threats such as rodents and mold, a Reuters investigation found. Reporters analyzed thousands of pages of contract documents, tested for mold in homes, inspected photographic evidence and spoke with more than 100 families living on U.S. Navy, Marine, Army or Air Forces bases. What emerges is a detailed portrait of their struggles with these landlords in disputes over household hazards. “We have an entire segment of society that is putting its life on the line for the rest of us, and effectively they are walled off from accessing these laws and the remedies under them,” said Emily Benfer, a professor at Columbia University Law School who works with tenants and nonprofits to get landlords to improve housing conditions. These tenants find themselves contending with Goliaths. Lincoln, a contractor at Camp Pendleton, is among the biggest of the military landlords, managing one of every five units in the privatization program. In all, the company and its affiliates manage 36,000 military family homes. Reuters calculates that the public-private housing projects in which Lincoln participates reap nearly $875 million in revenue a year from military housing tenants, roughly a fifth of the $4 billion a year the Defense Department pays in rent stipends for privatized on-base housing. Lincoln sometimes partners with other companies that do new construction and renovations, but Lincoln manages the base housing operations. Lincoln Military President Jarl Bliss said the problems documented by Reuters at its homes are exceptions. “We can't run 36,000 homes and do all the services that we provide across these branches of government and have a 100 percent success rate,” he said. He cited high ratings from tenants in surveys and high occupancy rates in Lincoln’s homes – above 90 percent – as signs of satisfaction. The housing contracts, families say, give the landlords the edge in disputes. Many states and municipalities, for instance, allow tenants to withhold rent when landlords fail to meet basic health, structural and safety standards. That was not a ready option for another Camp Pendleton Marine family struggling with Lincoln over mold blooms and illness earlier this year. If service members live on base, the housing allowances they receive as part of their pay typically go directly from the government to their landlord. In many localities, tenants suffering serious housing problems also can move without penalty. In military housing, families can’t count on that safeguard. That was true for a family with persistent leaks and mold in their home on the Naval base in Gulfport, Mississippi. They would have had to pay a Pennsylvania-based landlord more than $1,000 to break their lease, so they stayed. After Reuters inquiries, housing operator Balfour Beatty Communities moved the family into a hotel as it hauled out mold-covered drywall. U.S. localities typically have authority to order landlords to address violations of local housing and health codes. These protections rarely extend to tenants on military bases. When an Army family encountered mice, cockroaches, leaks and mold in housing run by a New Jersey-based company at Fort Belvoir, Virginia, they could not turn to local health code enforcers. The civilian inspectors don’t have authority to go on base. Enlisted families can complain to base officials. But if they do, they’re turning to a military hierarchy that’s in partnership with the private companies operating base housing. The system creates an inherent collision of interests pitting service members against the military-industry partnership. With little oversight, landlords have tremendous power. “Military families have two choices – put up and shut up or pay the astronomical cost of moving off base,” said Crystal Cornwall, a Marine spouse at Quantico in Virginia. She is leading a grassroots effort to mobilize military spouses to press Congress for better protections. More than 1,300 have joined a Facebook group she helps administer. In New Orleans, Bonnie Plettner and her Marine captain husband fought Louisiana-based Patrician Management for more than a year, seeking repairs to broken outlets, peeling paint and a water leak in privatized Navy housing. When the couple investigated a foul odor coming from the air vents, they found what appeared to be black mold, Plettner said. Patrician denied it was mold and declined to do additional testing, emails show. Plettner asked local and state officials to conduct a safety inspection; they told her they had no jurisdiction on base, she said. Naval medical staff said they could not order testing, because she lived in privatized housing. Her husband’s superiors warned that Patrician could terminate their lease if she continued to complain. “I have been told … over and over again, ‘Not my problem, not my jurisdiction,’” Plettner said. After their one-year-old child developed respiratory problems, they paid $1,500 themselves to clean the ducts in the summer of 2017. Patrician refused to reimburse them and, without explanation, declined to renew their lease. The couple scrambled to move off base. Plettner contacted the Navy’s hotline in Washington D.C. The Inspector General replied in a letter that, under the Navy’s contractual relationship with the housing managers, the Navy “has limited authority” to intervene in business affairs. It’s a conundrum of the military's own making. Congress passed legislation authorizing the military branches to transfer ownership of base housing – now valued at $8 billion – into new public-private ventures that would replace substandard homes with new or renovated units and manage them for the next five decades. 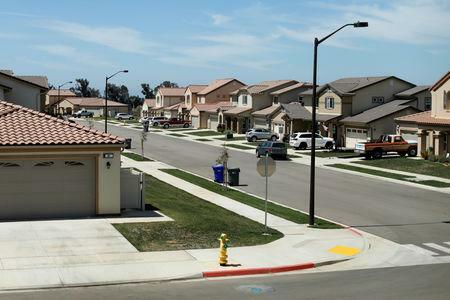 The program can point to noteworthy upgrades: 80,000 new homes have been built and 50,000 units renovated on bases nationwide over the past two decades, the department said. Still, the military’s contracts with industry leave enlisted families largely to fend for themselves against some of the country’s largest landlords. Many have no other option: Moving costs for deposits and advance rent easily reach thousands of dollars. That can be a stretch on a military salary. Marine corporals, for instance, earn base pay of $2,089 to $2,536 a month. The DOD says military base families have the same protections as civilian tenants, and the contracts require landlords to provide safe housing. But base officials have limited enforcement power. That power is delegated higher up the chain of command and rarely used. The Defense Department was told three years ago by its own Inspector General’s office it has a problem with unsafe housing. It decided not to act. The office recommended the Pentagon step up inspections and increase oversight of privatized housing. But defense officials rejected the recommendations. They would “unnecessarily increase costs” and “impose more government intrusion into a private business enterprise,” the DOD said in its official response. Asked about that decision, the Defense Department said it is committed to providing quality housing for families. The Pentagon and the military branches “continue to work together to review housing conditions, to address health and safety hazards and to evaluate policies and procedures to ensure that any health and safety issues are addressed,” spokeswoman Heather Babb told Reuters. She said service members can choose to use their housing allowance to live off base – 70 percent do. Competition with civilian housing “incentivizes” military contractors “to maintain quality housing to attract and retain tenants,” Babb said. Two of the most widespread hazards families face on bases are rodents and mold. 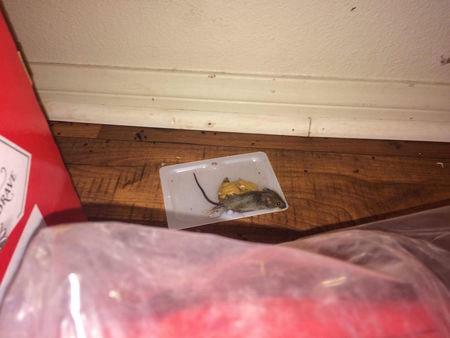 Across the United States, tenants at six bases told Reuters of their struggles with mice. Complaints of mold were even more widespread, with families at 20 bases describing outbreaks. The U.S. Centers for Disease Control and Prevention says humans can catch three dozen diseases from mice and rats: directly, by touching the animals or their feces, urine or saliva; or indirectly, through tics and other insects that feed on infected rodents. At Fort Belvoir, Virginia, Kimberly Strauf and her Army officer husband battled cockroaches, a leaking ceiling and mice scattering throughout their base home in 2016 and 2017. “They are in our ventilation system through our air vents, peeing and pooping everywhere,” she said. The final straw: when Strauf spotted a mouse in her baby’s bassinet. Soon after, housing operator Michaels Management Services moved them into a new home. The company said it “thoroughly” addressed the issues. Mold, the CDC says, triggers coughing, wheezing and inflammation of air sacs. In people with weakened immune systems, it can cause serious lung infections. Mold grows where moisture builds, often due to leaks, poor construction or lack of ventilation. Remediation requires eliminating the water source and replacing infested materials. The risk is serious enough that the Defense Department halted construction on its new, $1.3 billion strategic command headquarters in Nebraska in 2015 after finding mold in the ventilation system. It ordered the contractor to immediately replace 10,000 linear feet of ductwork. The Pentagon has been slower to address mold in service members’ homes, Marine and Navy families say. That was May 2017. The pediatrician followed up that November, noting the same child had contracted repeated sinus and lung infections requiring antibiotics. When a reporter visited this August, the mold was still there, coating the walls, furniture, toys, shoes and clothing. A month later, after the doctor’s urging, the family moved out. Brigadier General Kevin J. Killea, the commanding general at Camp Pendleton, confirmed the mold problem and said he gave “marching orders” that Lincoln remediate the family’s belongings and that “nothing should come out of the residents’ pocket.” Lincoln said the ocean air, not the home, was to blame. Last year, the Marines asked a DOD consultant to identify resident concerns at Camp Pendleton and other West Coast Marine bases. The report, which has not been released, concluded tenants were “generally satisfied” but wanted better quality control over maintenance and other issues, a Marine spokesman said. The landlords agreed to add staff and improve communication. When there are problems, the commanders at Camp Pendleton don’t necessarily have the authority to solve them. Pendleton has a Marine housing office with a staff of five that serves as liaison between families and Lincoln. But it “doesn't have enforcement powers over the business agreement,” said camp spokesman Carl B. Redding Jr.
CEO Bliss said he does not consider mold a widespread problem, even as Lincoln acknowledged it responds to about 3,000 mold complaints a year nationwide. That’s one complaint for every 12 homes it runs. One trouble spot is the area near Norfolk, Virginia, where Lincoln manages more than 4,000 homes at seven Navy bases clustered in the state’s Tidewater region. More than a dozen Norfolk-area military families contacted Reuters with concerns about mold. Federal records show the company spent more than $13 million from 2013 to 2016 on maintenance and litigation related to mold in the Norfolk area alone. Since 2010, at least 14 families from bases in the area have sued Lincoln over allegations they were sickened by mold. Lincoln lost the only case to go to trial. Twelve others were resolved – Bliss declined to say if they were settled – and one is pending. Lincoln also settled a lawsuit over mold at Camp Pendleton for an undisclosed sum. And it’s fighting another mold lawsuit by a family that lived in San Diego Navy base housing. Mold isn’t a new problem for Lincoln. In the Norfolk area, the company faced a PR nightmare over a mold outbreak several years ago. Some families say problems persist long after the attention faded. In 2011 and 2012, residents complaining of mold blooms appeared regularly on local news station WTKR, attracting members of Congress to public hearings. At first, Lincoln called the allegations “falsehoods.” Under pressure from Congress, the company provided free mold inspections for 848 homes in 2012. Seventy-seven percent of the tested homes underwent mold remediation, according to the Naval Facilities Engineering Command. Those numbers were not publicly disclosed at the time; the Navy recently provided them to Reuters. Among those affected: U.S. Marine gunnery sergeant Joe Federico and his wife, Shelley, who sued the company in 2012 over mold exposure they said made them and their daughter sick. During the lawsuit, a Lincoln lawyer told the judge a report by an environmental testing firm found no mold contamination. On the eve of trial in February 2016, the Federicos’ legal team learned the report had been edited by a Lincoln lawyer, who removed a recommendation to lower spore levels in the home. Lincoln failed to disclose another report that undermined its defense: It found elevated spore levels and recommended remediation. A jury awarded the Federicos $350,000. The couple appealed, seeking a larger award, and settled for an undisclosed amount in October 2016. Lincoln said the original judgment was a fraction of the millions the family sought. At the Oceana Naval Air Station in Virginia Beach, Cece Sickles said mold surfaced in the master bathroom of her Lincoln home in November, growing from a speck to a blanket. She and her husband, a chief petty officer, have four children, ages 1 to 16. “I have a baby who’s possibly breathing in this stuff,” she said. Lincoln replaced the ceiling in late 2017. This year, in early August, Sickles showed an employee a moist, black substance on the living room wall around the air vents. He told her it was “just dust,” she said, and wiped it off. When a reporter visited later that month, the growth had returned, covering the inside of the vents and surrounding wall. Bright orange stains bloomed on the hall bathroom’s walls. Reuters provided the family with mold test kits. The results, analyzed by a certified lab, showed the substance was mold. The couple pressed Lincoln to reinvestigate. A contractor confirmed extensive mold and the company moved the family out while replacing the heating and cooling systems, bathroom and part of the garage. Beth Baker, a spokeswoman for the Navy’s Mid-Atlantic region, said Lincoln “moved quickly” to resolve the problem. Reuters tested two other area homes where Lincoln had denied the presence of mold. Those results also came back positive. Lincoln later remediated both homes. Some Marines have concluded the only way to protect their families is to retreat. At Camp Pendleton, Marine Corps Sergeant Ethan Andrews and his wife, Stephanie, were desperate for help. Their duplex roof leaked on and off for more than a year. Mold bloomed in the walls, photos taken by the couple show. Mushrooms sprouted from carpets so wet their toddler Gavin learned to walk in rain boots: His baby pictures show him climbing the stairs in bright blue rubbers. She and Gavin developed chronic coughs, she said, and Ethan suffered from severe headaches. Water eventually burst through the ceiling and flooded the living room. Concerned for their son’s health, the couple decided to move off base early last year. They asked to be let out of their lease four months early. Lincoln VP Rizzo told Reuters the roof leaks were due to unusually heavy rain and the company had to repair them multiple times. Other area homes had similar problems, he said. Even so, the company agreed to let them out of their lease, he said. The Andrews tell a different story: Lincoln staff said they would have to pay a $3,000 penalty – enough to bankrupt them. They could appeal the charge, but the final decision would take up to six weeks. So Ethan, who had served two tours of duty in Afghanistan, took the only sure way out: He left the Marines – a change in status that exempted him from the fee but ended his military career.